2nd purchase. Very fast delivery. Good product. 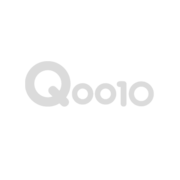 Hi, I would strongly recommend the customers of Qoo10 to use the service of Q express cos due to the mistake delivery of the postman, I was required to pay an additional amount of $20.40 for the retrieval of my items and I have to go down personally to retrieve my item. It's a bad experience enough. I will continue to shop here though.. Thanks..